Please don’t cheapen women’s day. Recently, an exclusive ‘country club’ invited me as a speaker for their International Women’s Day programme. They said that they wanted the women in the audience to be inspired by my story of triumphing over adversity and rebuilding my life despite starting with only ₹750 in my bank account. As I considered the speaking engagement, I asked them about the overall theme of the discussion. Their proud reply had me gobsmacked: ‘Beautifying yourself through cosmetic surgery’. You can imagine my shock and horror. Is this what women’s empowerment is about? 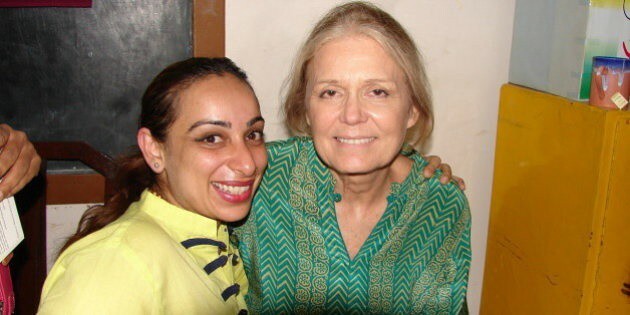 I thought about the great feminists who spearheaded women’s fight for equality and remembered the iconic Gloria Steinem, who I had the opportunity of interacting with. I recalled how she spoke about equal rights for women, the pride in being a woman and embracing womanhood rather than being ashamed of it. She was the frontrunner of the feminist movement in America and her writings continue to shape the way women think about their position in society — not as second-class citizens to men but as their equal. These were real battles to be fought that revolutionized the way women thought and lived. I spoke to Gloria about divorce in India and realized that domestic violence is a theme that transcends the barriers of countries and continents. I’ve not gone as a speaker and have lost the opportunity to avail a 35% discount on cosmetic surgery, but that’s one missed opportunity I’m not regretting. Women’s empowerment is about realizing your potential as a woman and working towards maximizing it. The glass ceilings are so many, stemming from the fallacious belief that women cannot employ their brains on anything other than beauty, cosmetics, children, family and of course shopping. Cracks in the glass ceiling appear every time a woman achieves her goals. If the goal is getting into space like Kalpana Chawla did then so be it, if it is setting up a business enterprise like the women at Lijjat Papad or SEWA did, so be it. The point is to go right ahead and forget about the narrow definitions of womanhood that we are expected to conform to. There are no rules except the ones that are set by others or us to limit our flight to success. Each time we feel that it can’t be done because, “I’m a woman” just Google the names of women achievers and their inspiring stories to lay all doubts and fears to rest. The glass ceiling is not a myth but it will have only as much power over us as we let it. I wish I could list down the names of all the women achievers I know, living their extraordinary lives on their own terms — fearless, fabulous and flying high because they didn’t let themselves get into a victim mode but a victor zone. Let’s embrace ourselves for what we already are and what we can become if we set our mind to it. This Women’s Day lets achieve our potential to the maximum and let’s not allow the dreams in our heart to be encumbered by our gender. P.S: Needless to say I’ve not gone as a speaker and have lost the opportunity to avail a 35% discount on cosmetic surgery, but that’s one missed opportunity I’m not regretting.